Home | GEMS | Polished Brazilian Agate Slice, 5.5"inch x 5" x 1/2"
Polished Brazilian Agate Slice, 5.5"inch x 5" x 1/2"
Polished Brazilian Agate Slice. Agates come in a variety of colors with beautiful banding. They are known for helping balance yin/yang energy and are a calming and protective stone. 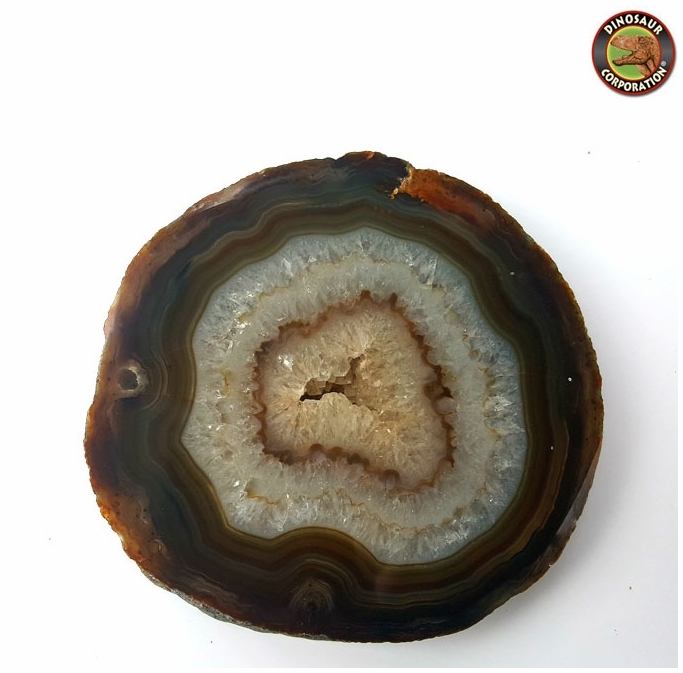 Agate enhances creativity and strengthens the intellect, making it a beneficial stone for both students and artists. It is also known as a good luck stone.